In his new book China’s Crony Capitalism: The Dynamics of Regime Decay, Minxin Pei argues that corruption operates at every level in China and has been the foundation of power since 1989. It’s not an accident but a choice of Chinese political elites. They understand that private wealth must connect with political power to be secure in modern China’s economic/political system. Officials can generate lucrative profits by turning their public authority into a tool to seek private gain. Business leaders know that collusion with Chinese officials may lead to the loss of both fortune and freedom if their criminal activities are discovered. But on balance, these risks are worth taking because the near certainty of windfall profits from collusion far outweigh the downside of detection. How does such corruption endanger China's one party government? Chinese President Xi Jinping has led a strong anti-corruption program in recent years. Is this effort real? How does corruption matter to Americans doing business in China? 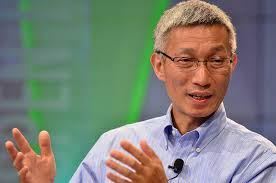 Minxin Pei is an expert on governance in the People's Republic of China, U.S.-Asia relations, and democratization in developing nations. He currently serves as the director of the Keck Center for International and Strategic Studies at Claremont McKenna College and is a non-resident senior fellow with the Asia program at the German Marshall Fund of the United States. He was formerly a senior associate with the Asia Program at the Carnegie Endowment for International Peace. Pei earned his bachelor's degree in English from the Shanghai International Studies University, and PhD in Political Science from Harvard University. In addition, he holds an M.F.A. from the University of Pittsburgh. Esri Redlands Forum events usually fill to capacity quickly.